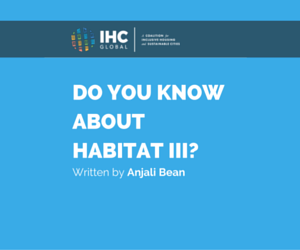 Ebook: Do You Know About Habitat III? Submit the form to download! Please provide your name and email to download the ebook. In October of 2016, the United Nations will convene a global summit on Housing and Sustainable Urban Development in Quito, Ecuador. This eBook provides a high level overview of the many moving parts that have come together to create this event, and what the outcomes might mean for humanity in the future.